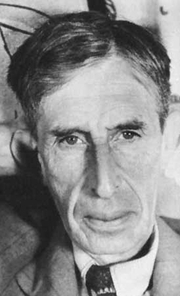 Leonard Woolf was born in London to an Anglo-Jewish family. His father was a barrister and Queen's Counsel. Woolf attended Arlington House School near Brighton, and St. Paul's School, London. In 1899, he won a scholarship to Trinity College, Cambridge University. There he was elected to membership in the undergraduate society known as the "Cambridge Apostles," whose other members included Lytton Strachey, John Maynard Keynes, E.M. Forster, and Bertrand Russell. Woolf received his bachelor's degree in 1902 but stayed for another year to study for the civil service exams. In 1904, he went to Ceylon (now Sri Lanka) as a cadet, and by 1908 was named an assistant government agent in the Southern Province. He returned to England in 1911 for a year's leave. The next year he married Virginia Stephen, who became famous as Virginia Woolf, and left the civil service. The couple helped found the Bloomsbury Group of artists and writers. Leonard became an influential political theorist, writer, and (with Virginia) publisher of the Hogarth Press. Woolf wrote for several left-wing and internationalist journals and his efforts helped to lay the foundations of the policy of the League of Nations and the United Nations, and of the welfare state. His best-known published work is probably his autobiography in numerous volumes. Leonard Woolf has a Legacy Library. Legacy libraries are the personal libraries of famous readers, entered by LibraryThing members from the Legacy Libraries group. » Leonard Woolf's legacy profile. Leonard Woolf is currently considered a "single author." If one or more works are by a distinct, homonymous authors, go ahead and split the author. Leonard Woolf is composed of 5 names. You can examine and separate out names.